A simpatico relationship is characterized by sharing compatible attributes that often align to achieve attuned interests. The symbiosis connecting the blockchain, the Open Mining Format (OMF), and the mining supply chain align so neatly, the path along which the mining and resources industry roams will irrevocably reshape the resources landscape altogether. 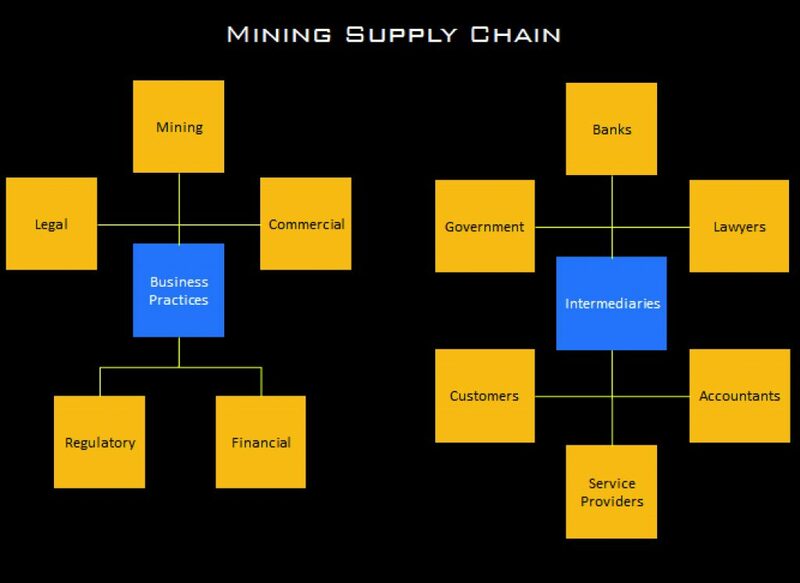 From using OMF block models to order minerals-on-demand, to the rise of an international commodity exchange specializing in buying and selling resources for commercial purposes, or furthering the financialization of worldwide economies, the concept of blockchain, OMF and the mining supply chain are at the heart of this looming industry shift. So, what are these major concepts and what makes them so…simpatico? While banks are traditional intermediaries for monetary transaction between almost every individual and organization on earth, blockchain represents an alternative by creating a web-based platform with the means of making monetary and contractual transactions online without the need for traditional intermediaries. 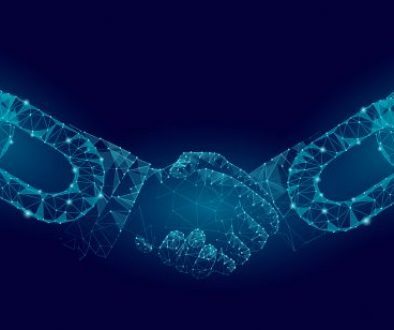 Blockchain also enables the execution of agreements between parties through the use of “smart contracts.” A smart contract takes the kind of contracts we enter into in the real world and makes it possible to execute them through blockchain. This is incredibly significant because companies can design a smart contract ecosystem within blockchain to interact with its service suppliers and also its customers. There is no middleman to deal with, it’s cheaper, faster, more direct and it can be automated. Traditionally, 3D mining packages use a proprietary file format representing 3D mining data, which can only be used in combination with its own software. 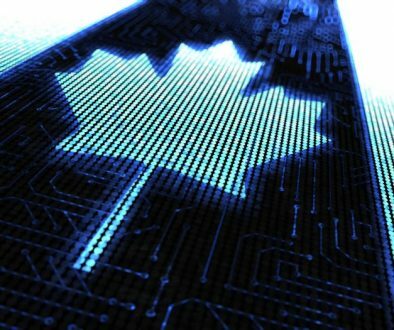 This means that while it can be used to operate one specific mining package, to use it in an entirely different software, the information must be converted, which can potentially lead to data corruption, undetected alterations and compounding inaccuracy. It is common in the process of mining for the data to pass through multiple software systems. The Open Mining Format is a universal mining file format that will allow critical information to be imported and exported in an out of 3D software packages that will save time, costs and accuracy of data. Spear headed by the GSMG (Global Mining Standards and Guideline Group), OMF represents a reduction in over-burden of regulations on other 3D formats, and creates simplistic pathway for future blockchain innovations. Why is the OMF important to blockchain? When a mineral deposit is declared an indicated resource by meeting the necessary regulatory requirements, the OMF block model can be exported promptly and integrated into a private or public blockchain for immediate sale to customers. It is important to note that a blockchain and a block model are very different. While blockchain represents a new method of making transactions, a block model refers to a digital 3D representation of a mineral resource (orebody) that is broken down into designated underground blocks of material. Each individual block of material contains its own volume and mineral specifications. A block model is also important to the blockchain because it is the primary form in which commodities will be purchased, sold and traded. The mining supply chain is long. While mining companies typically focus on exploration, mining and the sale of commodities, a number of business practices are integral along the way including mining itself, legal and commercial issues, regulatory guidelines, and we can’t forget financial practices. These practices in turn incur the necessity for banks, lawyers, accountants, service providers, governments and, above all, customers. The diagram here represents some of these core contributors. Traditionally, the business practices to the left are accounted for by the traditional intermediaries on the right. It is vitally important to understand that intermediaries can be largely managed and automated through smart contracts in a blockchain system. Yes, that’s correct. The intermediaries on the right can be mostly replaced within a blockchain system, making the business practices on the left substantially more effectual. Some will be circumvented, and others will simply be modified to work in blockchain. For instance, lawyers will still be in high demand to help design “smart contracts.” Blockchain will simply be taking a paper contract, and making it an autonomous digital smart contract instead. 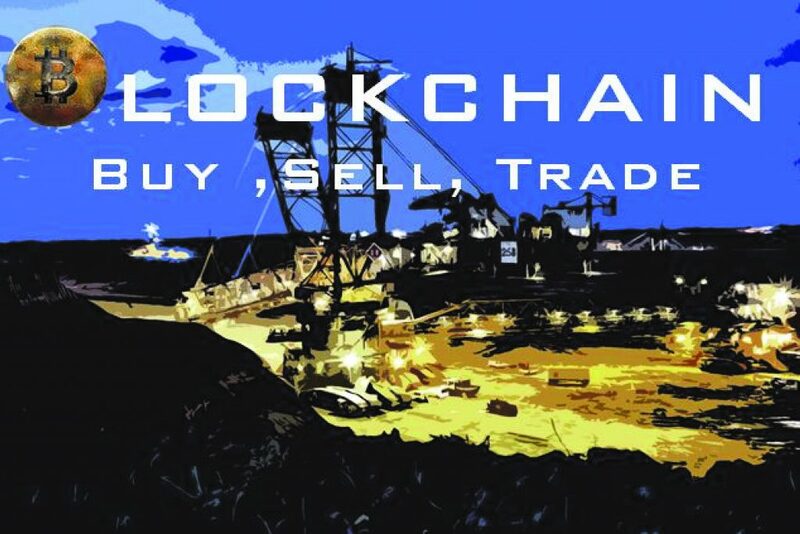 Blockchain opens up the commodity market to numerous buyers. A diversity of buyers brings different styles of blockchain. While blockchain can be configured in many ways, it can be divided into two distinct types: private or public. They are mostly identical system-wise, however within a private blockchain, users are provided permission to make transactions and privacy privileges are more flexible when administered. A public blockchain is simply open to everyone. A blockchain in the mining industry can represent small changes. It can also represent changes of monumental global importance. From the way customers search for materials, to the practice of trading commodities of value, the level of comprehension by industry will determine how for the branches of blockchain will propagate. Companies that explore and mine their own deposits may devise a direct-to-customer blockchain system that would typically be private. 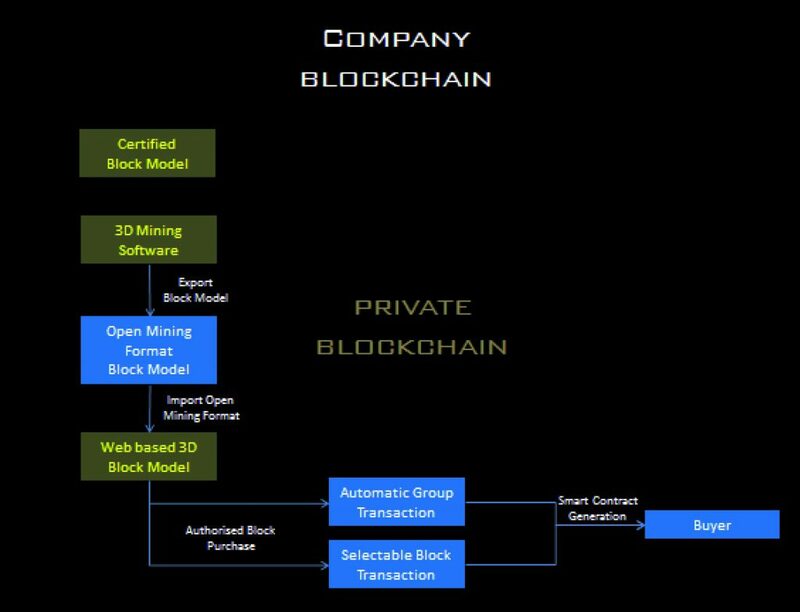 This diagram indicates once a block model is certified though regulatory compliance practices, it can be converted to a universal block model format (OMF), and formally interrogated online through a web-based visualisation tool. A purchase may include a selection of individual blocks of material, or an automated selection generated by the customer entering tonnage and mineral specifications, which automatically selects the required blocks to meet the product specs. Blocks of material are purchased through smart contracts between company and customer which are autonomously generated, representing a binding agreement. Pretty simple. While this example demonstrates a private blockchain, how would a public commodity blockchain behave? While the only major variance between a private and public blockchain is access privileges, its purpose is significantly altered. A public platform opens blockchain to the sale of defined resource material of multiple commodities from around the world, providing accessibility to materials at any time, from anywhere. OMF block models can be embedded within a network specifically intended for searching material globally, where buyers can purchase various commodities, tonnages and mineral specifications as easily as booking a flight, accommodation, and rental car for a holiday. Let’s take a well-known brand like Tesla for example. The Lithium-ion battery is an important element of any Tesla car. The battery, however, is not constructed from Lithium alone. It requires a mixture of materials such as nickel, cobalt and aluminum as well. 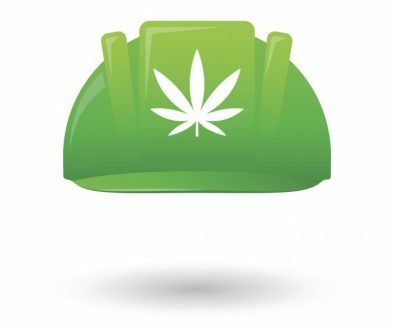 A public commodity blockchain empowers Tesla to stipulate the amount and type of material required with defined mineral specifications to construct two million batteries (for example), by searching mineral deposits in OMF block model format from around the world, returning the most cost-effective combination of materials from various mines. A direct purchase through blockchain sets in motion a chain of events amplifying the procurement of materials at extraordinary speed, while bypassing customary intermediaries that often complicate and result in costly and over-burdened transactions. What about the introduction of an International Commodity Exchange (ICE)? ICE embodies a blockchain platform which trades commodities that still remain underground (shown in the diagram), utilizing the OMF block model as the initial trading chips. This makes a platform such as ICE a very big deal. An ICE system is public and open to users around the world, from which commodities are purchased and sold over and over again like stock-market shares, while the value of blocks rise and fall determined by common market forces. 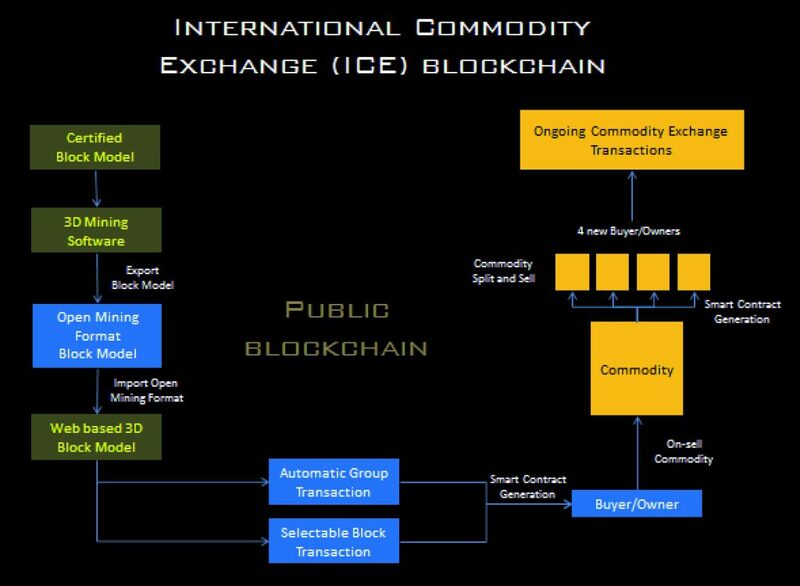 While the “public direct-to-customer” blockchain example focused on the strategic procurement of commodities for commercial use, ICE demonstrates a model of financialization—the buying and selling of commodities for financial gain. Two very similar models catering for two completely different markets. There are strong signs that blockchain will revolutionize the industry. Strategies will change. With a more direct purchasing tool, organizations can go straight to market, companies may find purpose in vertical integration strategies, new markets will open, new buyers surge and mining companies will diversify. Global purchasing strategies will change. Market trends will be shadowed thoroughly. With the ability to purchase material directly, customers may focus on cornering future markets not yet created, or perhaps focus on current trends such as materials for renewable energy products. Regardless of any individual strategy, blockchain commodity markets without a doubt will expose innumerable combinations of possibilities. Furniture will be rearranged from back to front, side to side, upside down, and on occasion some will vanish. In fact, there will be no places to hide from blockchain. Adrian Large is the Director of MineSpace, Perth, Australia.